The world’s largest concentration of brown bear lives on Admiralty Island, just 10 minutes from Juneau by floatplane. The No. 1 employer in Juneau is the government, followed by tourism. During an average summer, over 1,000,000 visitors experience Juneau. 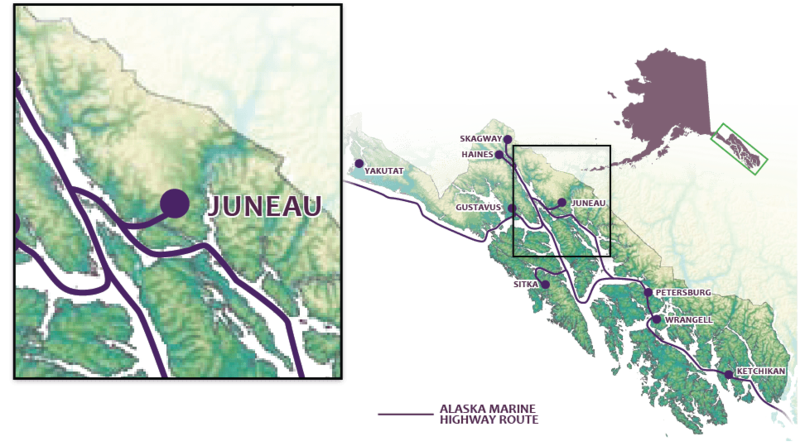 Juneau is only 48 miles from end-to-end, but has over 250 miles of hiking trails. Wildlife found in and around Juneau: 114 species of birds, all five species of salmon, brown and black bears and several species of whales. About 32,000 people reside in Juneau, but southeast Alaska is home to more than 20,000 bald eagles.